Lisp is second oldest High-Level Programing Language, which was developed in 1958 and has been specified at the Massachusetts Institute of Technology (MIT). The initial designer of Lisp was Sir Professor John McCarthy, who is said to be the father of Artificial Intelligence and Father of Cloud Computing. The name of Richard Stallman comes in the context of Lisp dialects for Emacs Lisp. Program instructions are also lists, the first list element identifies the function to be executed. There is thus no fundamental difference between data and program instructions. This allows others to manipulate the program parts for runtime. The programmer can for example, add new control structures or object systems ( OOP ) for development. Lisp allows the programmer a great flexibility and far-reaching – which is why it is sometimes Lisp is referred to as a programmable programming language. Data structures can be constructed dynamically, without the programmer, explicitly reserve space or to share needs. Declarations for data are not needed and a Lisp symbol can be described as any type of variable objects. Many of these properties over time in other programming languages ? ?have been adopted. In the 1970s and 1980s there were special Lisp machines which were developed to be sold. This allowed the rapid execution of Lisp programs, however, with faster computers the dedicated machine’s need has been changed. 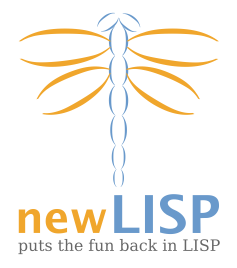 Lisp programs can be interpreted by a compiler to be translated into an efficient code. Typical batch compiler compiler, incremental compiler. Incremental compiler can translate some expressions. Batch Compiler translate single files or entire Lisp programs. Compilers translate either into a bytecode for a virtual machine or in machine code for a processor. The acronym LISP is sometimes jokingly said as “Lots of Irritating Superfluous Parentheses”. Historically, Lisp, together with Prolog was one of the programming for artificial intelligence. We will go in to more details on Lisp with the usage in machine learning, AI and other developmental purposes for the general users as well as for Free Health Foundation. This Article Has Been Shared 3888 Times! Cite this article as: Abhishek Ghosh, "Lisp Programming Language," in The Customize Windows, April 4, 2013, April 18, 2019, https://thecustomizewindows.com/2013/04/lisp-programming-language/.